Sri Lanka is much admired for its multitude of sub-aquatic life with unspoiled sea and fishing zones. The Boats that we provide you are also equipped with safety Jackets, VHS Marine Radio, Mobile telephone and Fish Finders. 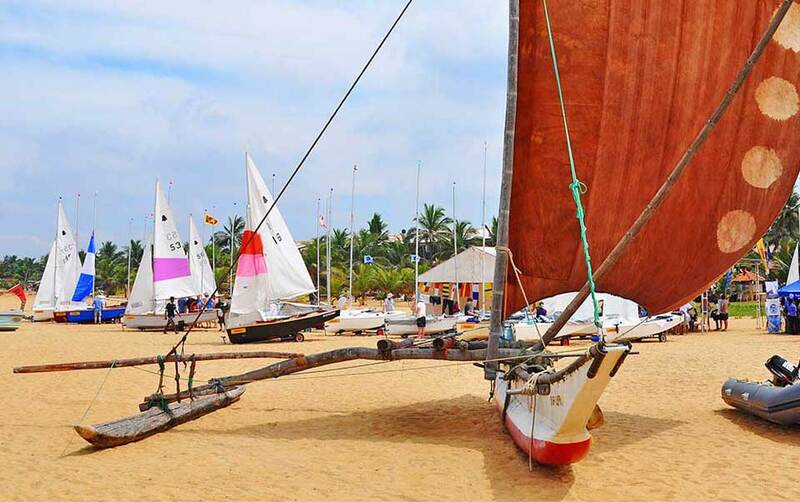 The Vessels are skippered by Sri Lankans with many years of experience in local and foreign boating and Yachting and safety equipment in accordance with international safety requirements and regulations are available in the Vessels. The Season for Fishing in the Western and Southern Coast is from November to mid-May while the best period to fish in the Eastern and South Eastern Coast is from May to September. During trolling you often can see schools of dolphins accompanying the boat. Description of Activity: Negombo deep sea duration 3 hrs and there will be a local fishing guide, who has experience over 20 years. You can fish, Barracuda, Seer, Great Travilly and Queen Fish. As you go deeper towards the shelf, Sailfish, Blue or Black Marlene, Tuna, Wahoo and a few more allied species could be spotted. Trolling is a method of fishing where one or more fishing lines, baited with lures or bait fish, are drawn through the water. This may be behind a moving boat, or by slowly winding the line when fishing from a static position, or even sweeping the line from side-to-side. Trolling fishing is a highly successful method and best session is in the morning. Boat is not moving and anchors nearby fishing spot such as Coral Reef or rocky area. There is no specific best time, but in the night more success.